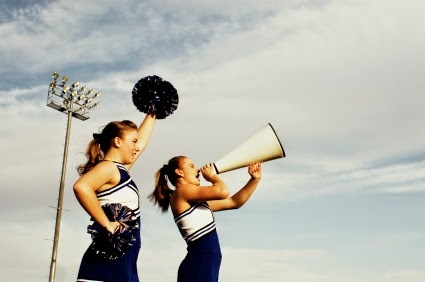 CheerandPom Blog: Cheer Poll: What is your favorite part about cheerleading? Cheer Poll: What is your favorite part about cheerleading? Recently we were asked what the best part of cheerleading was. Our answer? Um everything, obviously. But then we really got to thinking, is there one specific thing that takes the cake? Is it being strong enough to stick those complicated stunts? Or is it your team becoming like family? Ugh or maybe it's that feeling you get when you have just nailed that tumbling pass you've been working on for what feels like eternity? We seriously can't decide. Help us settle this debate!! What is your favorite part about cheerleading? It's a Tie!! Stunting and Tumbling are clearly the two best parts of Cheerleading!